The civil war inside the Central Bureau of Investigation (CBI) has exposed the underbelly of this once vaunted organisation. Its now former chief and his deputy have accused each other of corruption, its officers are aligned with one or the other and, indeed, the implication is that these groups of officers themselves owe allegiance to one or the other political party. Now the highest echelons of the judiciary have been dragged into the controversy. A Supreme Court (SC) judge of impeccable reputation, who participated in the decision to transfer the CBI chief after his restricted reinstatement, has chosen to decline a prestigious nomination to an international tribunal after being accused of partiality. Retired SC judges have also either weighed in or been dragged into the ongoing saga, as has the Chief Vigilance Commissioner (CVC). This is a sordid mess that India simply cannot afford and should not tolerate. The need for reforming CBI, though repeatedly demanded earlier because of several past allegations of its partisanship, has never been more urgent or critical. In fact, there is a crying need for reforming many institutions and agencies that still operate in pre-independence structures. After achieving Independence in 1947, though India adopted a modern, egalitarian Constitution, it largely continued operating under the governance structures that the Raj had bequeathed, whose fundamental objectives had been different. This was in contrast to, say, the US and China. Both those countries, after achieving independence in 1776 and regime change in 1949 respectively, drastically overhauled their inherited governance structures. In India’s case, continuity included the rules and conventions for the functioning of Parliament, on the lines of its pre-independence version of several decades. These were designed by the Raj for containment rather than empowerment of the people. They are also outdated, having been modelled on 19th century norms in the UK and US, which have both made important changes in their legislative rules. For institutions like CBI, and many others, such continuity had meant that the government of the day could appoint its choice of director entirely as it wished, without any of the checks and balances that are common for key posts in modern democracies. That was emblematic of a colonial government, not an independent one with a more transparent method. A turning point came during the infamous Jain Hawala scandal of the 1990s, in the course of which there were allegations that CBI’s investigation of it were partisan. Eventually, in 1997 an SC judgment in the matter resulted in the formation of appointments committees for both CBI and CVC, constituted of members from government, opposition and judiciary. In that judgment, SC also stipulated a fixed two year tenure for the CBI chief, as a way to prevent interference by the government of the day. It also mandated a supervisory role over CBI for the CVC. Oddly, the mandate was specific that the CVC chief be chosen from a panel of “outstanding civil servants”, as if only bureaucrats could be trusted to be above board. In making that stipulation, the SC in 1997 unwittingly revealed an establishment mindset that was unreconstructed from the colonial period, with overwhelming faith in the civil service above all others. While some bureaucrats are indeed paragons of virtue, they are no more or less likely to be so than other Indians. And, in fact, most of them having been conditioned to work under successive governments that continue to operate just as the Raj did, are more likely to be susceptible to its whims. The post-colonial republic of India must do away with such notions, and make a fundamental affirmation that good, decent, honest, qualified and eminent people can be found in all walks of life. And this must be the basis of restructuring many institutions that suffer from the constraint that only serving or retired bureaucrats are considered suitable to run them. CBI also suffers other inherent shortcomings that need overhauling. 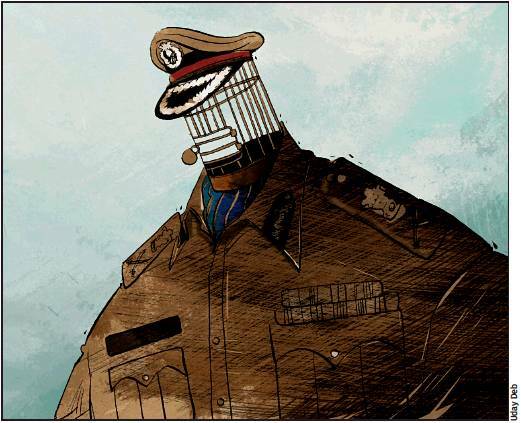 For one thing, it does not have a cadre of its own, and is run by Indian Police Service (IPS) officers on deputation. That essentially makes its personnel susceptible to manipulation, since they are dependent on government for future postings. Equally worrisome is that CBI evolved in bits and pieces from the hastily enacted 1946 Delhi Special Police Establishment (DSPE) Act, by which it is still governed. Initially empowered only to investigate corruption in the War and Supply department, its scope gradually enlarged to cover other government departments and the public sector. CBI’s legislative underpinnings are woefully inadequate for the premier national investigative agency for crime and corruption. It requires a comprehensive new act of Parliament, providing for its own cadre, and enhanced checks and balances in its top appointments. Indeed, many of these have already been recommended by a parliamentary standing committee. Finally, it needs freedom from colonial era, opaque, government vetoes, both the Union government’s prior approval and states’ consent for initiating certain investigations. In its place, it requires clear guidelines, checklists, and stipulated internal time bound procedures and practices. Without these, it is not reasonable to expect the CBI to be truly professional and nonpartisan. With these changes, it would be an effective, essential organ of the republic.